Grab a friend or a group and find out who has the creative gene while having a delicious slice of cake and tea or coffee served in old English bone china. All materials are provided and price included. You can choose from a large variety of pearls and semi-precious stones. 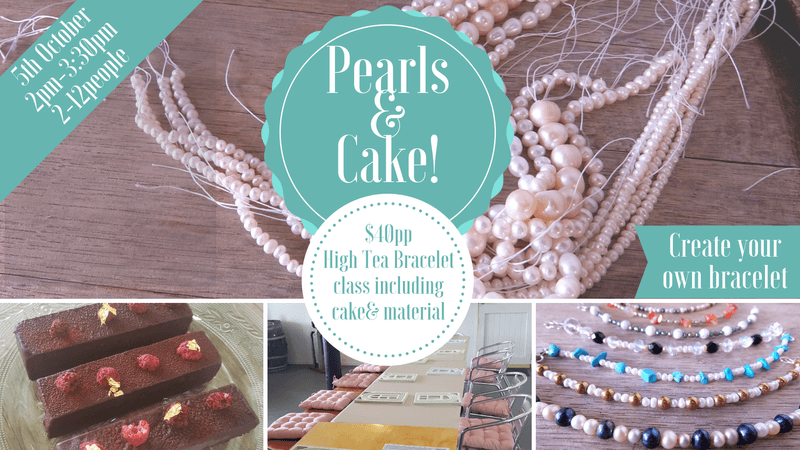 Just like a princess you can sort through trays of pearls and gems and feel the calming effect of stringing a bracelet. This event will run with a minimum of 2. To book a space send us an email with your name and contact phone number.This activity is great for anybody over the age of 12. You can pay on the day or contact us to purchase a voucher for this event as a surprise. The cake will be gluten free from our local French business L'Epicure Catering and a flavour surprise!